The PlayStation 2 offers advanced video modes for non-SD televisions. Progressive scan is intended for use with component cables. The following is a list of PlayStation 2 games with support for HDTVs and EDTVs as well as the games that have a 16:9 widescreen mode. 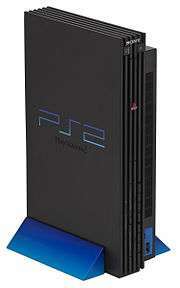 Generally, progressive scan mode is activated by holding the △ and ×, buttons down after the PlayStation 2 logo appears. When this is done, the game will typically load a screen with instructions on how to enable progressive scan. Many games only offer progressive scan through this method, offering no related options in the game’s options menu. Both methods work on a backward compatible PlayStation 3 as well. When progressive mode is enabled on PAL (576i) games, the resolution is 480p, not 576p. Note that not all games from PAL territories support progressive scan mode 480p even if their NTSC U/C counterparts do. Component video cables are intended for the ED and HD modes, with the color space being set to YPbPr in the system settings. While a (SCART) cable wired for RGB does work, the console switches sync to RGsB (sync-on-green) on 480p and higher; this sync setup differs from the standard VGA RGBHV and will only display on certain compatible monitors. If a game doesn’t feature a 480p mode itself, this and other progressive video modes can often be forced by using the commercial software Xploder HDTV player or the free Homebrew software GS Mode Selector (GSM). The use of these can give mixed results due to certain performance-enhancing methods used by developers. At the PS2 internal System Configuration menu, the Screen Size option allows for a 4:3 or 16:9 (widescreen) display, however, most games do not poll this option for enabling widescreen, relying on internal options instead. As with progressive mode, widescreen mode can also be forced. Using the products of the PlayStation 2 emulation and homebrew scene, many games that don’t directly offer a widescreen mode can be patched to use a true 16:9 aspect ratio. This is achieved by one of two methods: using cheat codes with a cheat engine like the commercial software Code Breaker or the free Homebrew software PS2rd; or by modifying the game executable permanently with a hex editor. ^1 Only in NTSC-J version. ^2 Only in NTSC-J and NTSC-U/C versions. ^3 Not released in NTSC-U/C. ^5 Not compatible with PlayStation 3. ^6 Can change these settings in option menu. ^7 Access the Progressive Scan menu by holding the × and △ keys together when the game boots up. ^8 Only in NTSC-J version with specific code. ^9 Although it is not emulated, it is displayed in 240p (except for the logos at boot-up). ^10 The game sets to widescreen automatically when the 16:9 ratio setting in the PS2 internal menu is set. ^11 These titles deliver the native 240p resolution of the emulated games that are included. No image will be displayed with component cables unless a 240p-compatible monitor or other workarounds are used. ^12 240p can be toggled in the in-game options menu. ^13 Access the Progressive Scan menu by holding the × and ○ keys together when the game boots up. ^14 Activate Progressive Scan by holding the × and △ keys together when the game boots up. There is no confirmation menu. ^16 Uses the vert- method, meaning the top and bottom of the 4:3 image are actually cropped, meaning less visible viewing area than when played in 4:3. ^17 Cutscene audio out of sync on SCPH-9003, px200. ^19 Fake widescreen: The widescreen mode only affects the scaling of the menu and HUD elements, the in-game field of view stays the same (meaning the image gets stretched). ^20 Despite the game being presented in a cropped widescreen, the game is displayed in a 4:3 aspect ratio. However, using the 4:3 zoom function of the monitor if available, a fuller widescreen display can be achieved. ^21 There is no in-game option to toggle widescreen. The screen ratio is set according to the setting in the PS2 internal Screen Size menu. ^22 HD modes (480p and 1080i) are switched constantly to 480i whenever something non essential is on screen (menus, movies, etc). HD modes need to be enabled every time the game is started at the in-game option menu as the setting is not stored in the game save although the screen ratio option is saved. “High Definition Game Database”. Retrieved 2007-01-01.